Microblading is a semi-permanent makeup tattoo that distributes pigment to the eyebrows, leaving natural feather like hair strokes. During the first service we apply individual microstrokes to your brow to match your natural eyebrow hair and skin tone to create the best design for your face and eyes. For the second service, you will return after three weeks of healing for microstroke touch up. Semi-Permanent brows will stay for up to a year, after that you can book a touch up service. 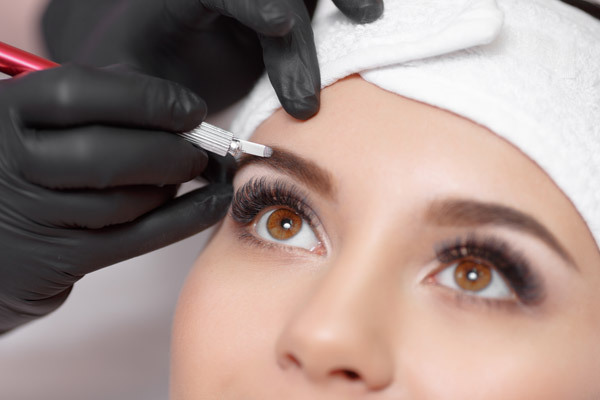 Should you need to cancel or reschedule your microblading appointment or touch up, we kindly ask for five days’ notice to fill your appointment. If five days’ notice is not provided then your deposit will be forfeited. If you rebook later, a new deposit will be required.